The Cross-Border Road Transport Agency’s goal is to be an employer of choice. Hence, the agency prides itself on its fair and impartial recruitment and selection processes. We have an outstanding team of specialised, skilled people who are passionate about our mission to spearhead social and economic development within the SADC region by facilitating unimpeded cross-border road transport movement. 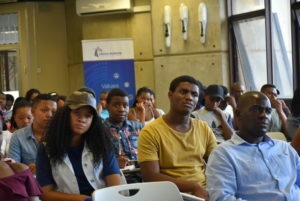 The C-BRTA supports the development and employment of young South Africans. We have an agreement with the Department of Transport and the National Youth Development Agency to help provide unemployed graduates with exposure to the workplace. If you are interested in working for the C-BRTA, visit the vacancies on our website regularly to check for new opportunities. If you would like to be considered for a graduate position or internship, send a comprehensive curriculum vitae to learning@cbrta.co.za.